Are you a busy adult who woud like to improve your smile, but can’t find the time? The truth is, it may not take as long as you think. At Stephen Ratcliff Family & Cosmetic Dentistry in Arlington, we can help restore missing, cracked, or discolored teeth – sometimes in just one visit. Ask us about dental implants. Happy Arlington dental implant patients have discovered that implants look and feel like their own teeth. At Stephen Ratcliff Family & Cosmetic Dentistry in Arlington, we would love to have a consultation and develop a comprehensive treatment plan for you. 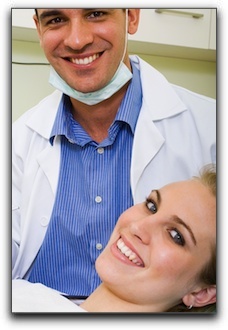 Services include restorative and cosmetic dentistry.